New Plymouth trainer Allan Sharrock is plumping for race favourite London Express in Saturday's Listed The O'Learys Fillies Stakes (1200m) at Wanganui - but only just. "Tutta La Classe is fractionally a better physical speciman but the other filly has more runs on the board," Sharrock said. "I'd be reluctant to split them but the filly with the white blaze (London Express) has the better record. But I expect them to both be in the dogfight." 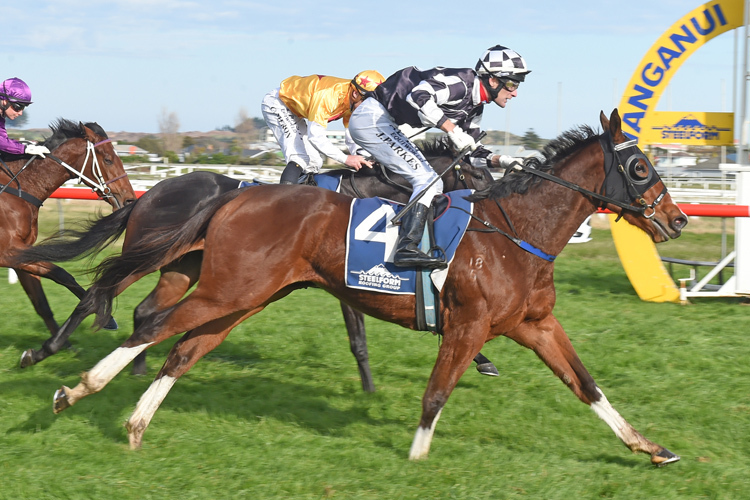 It's an enviable position Sharrock finds himself in with two genuine winning chances, with London Express defeating Tutta La Classe at their only meeting when they ran the quinella in a Pearl Series Race (1200m) at New Plymouth in May. 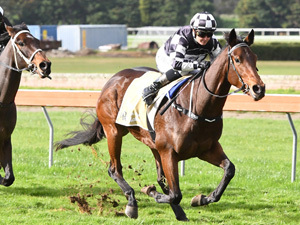 London Express went on to win the Listed Castletown Stakes (1200m) at Wanganui in June, beating Sweet Allure into third, before taking a break ahead of the O'Learys Stakes. "She's just a real competitor," Sharrock said. "This is an ideal race for her, being a Listed race. There's not a lot of her but she does everything we've asked her to even with her trial last Tuesday against the open horses." London Express won that trial, beating four-win older mare Flamingo by two lengths, and was a four-length jumpout winner a week beforehand. "She's going to get conditions to suit on Saturday and while she's drawn out (barrier it might be the right draw the way the track She's going very well. We couldn't be happier with her." Sharrock is optimistic London Express can develop into a spring contender, suggesting 1 m on a good track wouldn't be out of her range, basing that on two dead track placings in the autumn. Like London Express, Tutta La Classe has yet to miss a placing and was giving London Express a 9lbs advantage when beaten a long head. She went on to win at Trentham before twice chasing Atenartin at Awapuni, the most recent of those in the Listed Ryder Stakes (1200m). "She's going just as well as the other filly and really it looks a winnable race for me if things go right," Sharrock said. The stable's other runner on Saturday is the talented mare Art Deco in the Coro Angel Syndicate 1200, though Sharrock suggested she would be better placed in the Gr.3 Boehringer Ingelheim 1550 at Awapuni seven days later. "This will have her dead right for the Metric Mile but I'd think she's still a top-three chance," Sharrock said.